On a typical day at Mapleton's, you'll find the cows spending about a third of their day eating their organic feed. They will also spend another 7 to 8 hours regurgitating their food and re-chewing it. It doesn't sound very appetizing but it is key to the cows absorbing all of the nutrients in their feed and makes digesting food easier on their digestive system. Each cow will also produce 80 to 100 litres of saliva per day. The saliva helps move the food through the cows' digestive system and contains a lot of sodium bicarbonate which acts as a stabilizer maintaining pH and acidity levels. Access to pasture is a primary tenant of organic farming. 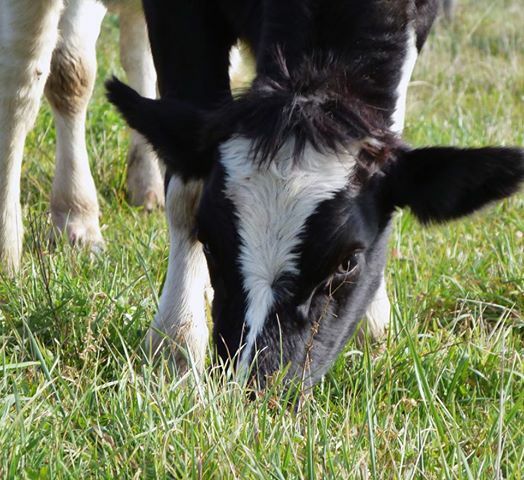 At Mapleton's the dairy herd has access to a 60 acre pasture located to the east of the main barn. Throughout the year, the cows are provided with other feed to supplement what they consume in the pasture. During the spring months of April, May and June the pasture will make up the largest portion of the cows diet – at least 50%. Over the summer, the percentage depends highly on weather conditions. A dry summer means grasses and other plants are not growing well or have temporarily died off. Usually by mid-August or September, as high temperatures ease, the pasture starts to grow more and it will again make up a higher percentage of the cows diet. In the winter nothing is growing in the pasture so the cows are provided with all of their feed. On these cold days, the ladies normally have rolled oats for breakfast. During the day they will enjoy a combination of dry hay, hayleage, corn sileage and dry corn. A small amount of extruded soybean meal, salt and other minerals are provided as needed. Feeding higher amounts of grains including corn and soybeans results in more milk production. However, grains are also very hard on a cows stomach because they are harder to regurgitate and re-chew. Hay, grasses and other roughage are much easier for the cow to bring back up and re-chew. 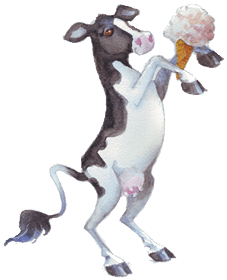 The cows at Mapleton's do receive dry grains but never more than 40% of their total diet. This is not only considered a best practice, but is also a requirement of organic certification. There are a number of factors that are considered when deciding to feed grains. These include the grains' ability to improve milk production and whether it can be grown on the farm. Oats for example, are very high in fibre, provide very good weed control when grown, and the resulting oat straw is used in the strawberry patch. 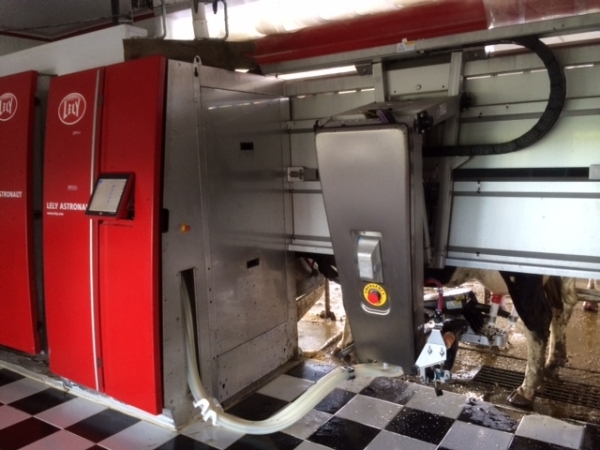 The robotic milking system at Mapleton's plays a key role in monitoring nutrition by measuring how much milk each cow produces throughout the day. If milk production falls, this is one of the first indicators of a nutrition issue. Cows also receive a snack each time they are milked. 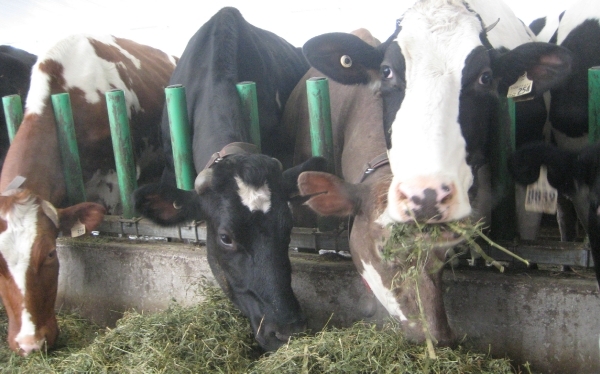 The quantity of feed each cow receives during milking corelates with how much milk they produce. For example, a cow such as Janice who tends to produce more than 40 litres of milk each day will be fed a larger quantity of feed by the system. Not only does this mean each cow's nutrition is individually monitored and catered to, but it's a great incentive for the cows to enter the milking area and be milked. The robotic milking system and the data it collects is just one of the many steps in monitoring nutrition levels. Martin and Arwa use their own extensive knowledge and expertise to monitor nutrition. The veterinarian who monitors the herd will also keep an eye out for nutrition issues as these have a significant impact on fertility. Feed samples are taken at each harvest, and a nutritionist analyzes them. In this way, the feed provided to the cows is monitored for protein levels, moisture and approximately 20 different minerals. For example, minerals such as calcium, iron, copper and zinc are all monitored. When a specific mineral supplement is needed it is sourced via an organic mineral supplement company based in Ontario. This is the only feed the cows receive that is not grown on the farm. At Mapleton's, we want our cows to have optimal nutrition so that they are healthier, produce a good quantity of milk and live longer. 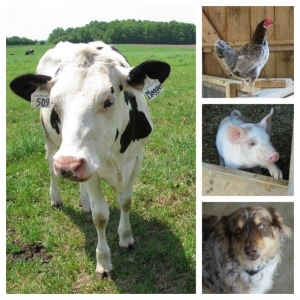 Although animals have their own distinct personalities, in general, any farm animal that is receiving good nutrition will also be happier, be easier to handle and interact better with the other animals they share space with. For the dairy herd at Mapleton's a well balanced diet right down to the micronutrients is the goal. In fact, it's not uncommon to hear Martin comment that "our cows are fed better than most people." Feel free to visit our Facebook page and post a question, submit it via our website contact page or email it to info@mapletonsorganic.ca.